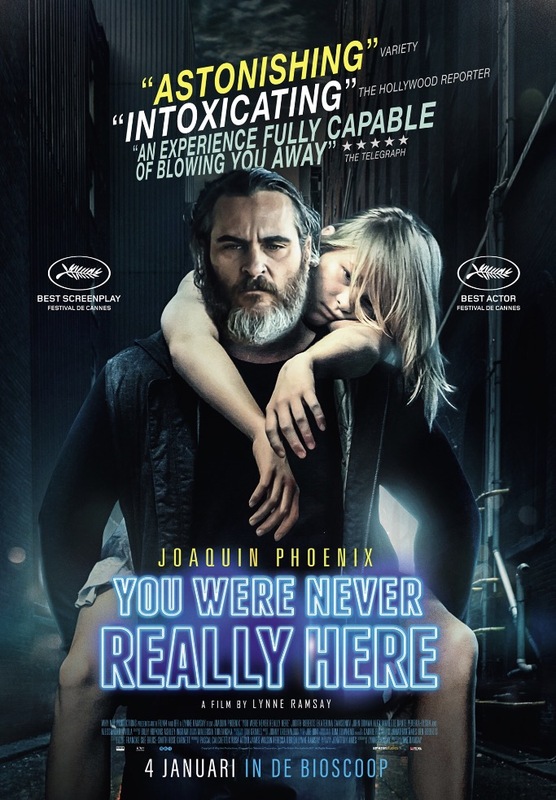 Joaquin Phoenix -- who is one of my personal favorite actors -- delivers an electrifying performance Lynne Ramsay's absorbing thriller, You Were Never Really Here. The film offers up some visceral brutality, gorgeous yet haunting imagery and a fascinating character study. It's a dark film, not an easy viewing, but one that'll be remembered and thought about for some time. An ex-FBI agent and soldier traumatised by past abuses both witnessed and experienced is hired to track down the daughter of a prominent politician and punish those responsible for her abduction. A story of a dysfunctional loner with suicidal tendencies rescuing a teenage runaway from a life of prostitution draws obvious parallels with Taxi Driver, but the feel of this attempted update reminded me more of the emotionally stark brutality of the work of Nicolas Winding Refn. The central performance by Joaquin Phoenix is strong, it is suitably intense and contains some striking imagery, but somehow these elements fail to conspire to become a satisfying narrative; concentrating more on mood than drama, its bleak and laconic style comes across as more pretentious than powerful. A film that really gets under your skin. McCleary said you were brutal. I want you to hurt them. Joaquin Phoenix never takes the easy road, whether it is portraying a country music legend, a man falling in love with his AI or a mockumentary about... himself? Whatever the case, Phoenix chooses the role less traveled - and is always up for a challenge - and You Were Never Really Here, if not the pinnacle of his career, is certainly up there with the better characters he has decided to portray. No posts have been made on this movie yet. Be the first to start talking about You Were Never Really Here!